Headlines about the AIDS crisis in Africa have diminished, but orphans who have lost their parents to the disease continue to need care. This is where grandmothers have been essential. Some 15 million African children live in households headed by their grandmothers. They bridge what has been called a missing generation. These households can have up to 10 to 15 children. 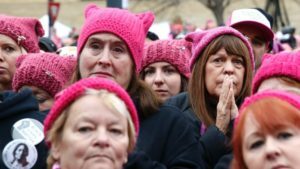 A Canadian non-profit, the Stephen Lewis Foundation, has made it a priority to support these overburdened women. And it has turned to Canadian grandmothers for help. 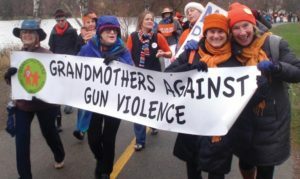 Over the past decade, Grandmothers to Grandmothers has grown to more than 240 groups. They have raised over $21 million through bazaars, benefits, bake sales, beds without breakfasts, and beyond. When Dr. Deb Walters saw women and children making their living picking through garbage dumps in Guatemala, she decided to raise money to help them improve their lives. She was inspired by the mothers of the community, and by the model school started by an American. 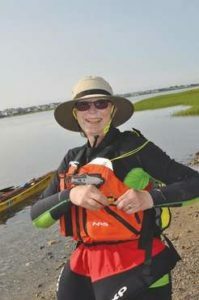 So the 63-year-old grandmother came up with the idea of kayaking from her home in Maine, down to Guatemala; more than 2,500 miles. Her plan was to publicize her mission along the way. One small problem: before she started out, in July of 2014, she had had some numbness and tingling. And, with all that sitting in the kayak, the pain intensified. So, in February 2015, she pulled up her boat in South Carolina and had emergency surgery to correct what turned out to be a massively herniated disk. Recovery from such a procedure is not exactly quick. Walters has spent the intervening time talking about her project in the U.S., and then catching a ride on a sailboat to Guatemala, where she was honored by the community and the school. So far she has raised more than $141,000 towards her goal of $150,000. Her plan is to kayak the remaining 1,000 miles this coming year. But wouldn’t we all count her trip already an incredible success? Learn more about Safe Passage. 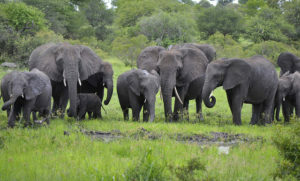 You have probably heard about the threat to African elephants: 17,000 slaughtered in 2011. And grandmothers are at the center of this crisis. Elephants live in matriarchal tribes, headed by mature females. They are an extremely social species. The matriarchs know where the closest watering hole can be found, as well as who, or what, is the most potent enemy. Researchers have found that the older the matriarch, the more babies who survive. Sadly, also, the older the matriarch, the longer the tusk: those pieces of ivory prized by poachers. So elephant grandmothers are valuable both to their own species, and to the humans who prey on them. And they seem to be aware of the genocide in progress. Scientists report that they are suffering from a form of ptsd, except that the danger is ongoing. Wouldn’t it be wonderful if human grandmother could help? 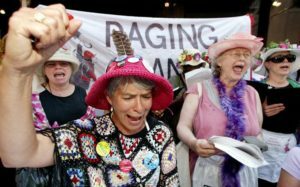 Since then the women, who call themselves The International Council of Thirteen Indigenous Grandmothers, come together from their homes in North and South America, Africa and Asia. They meet at regular intervals to pray for Mother Earth and to bring attention to what can be done for her. They have repeatedly petitioned the Pope. They have met with the Dali Lama. They have held a salmon ceremony in Alaska welcoming the return of the native fish. They have organized a seed temple in Mexico, linking the safeguarding of seeds with the birth of children. 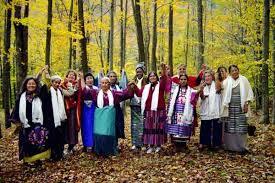 Their names are Aama Bombo, Agnes Baker Pilgrim, Beatrice Long Visitor, Bernadette Rebienot, Clara Shinobu Iura, Julieta Casimiro, Margaret Behan, Flordemayo, Maria Alice Campos Freire, Mona Polacca, Rita Long Visitor Holy Dance, Rita Pitka Blumenstein, and Tsering Dolma Gyaltong.